We do farrier supplies, it's our full time business and we have hundreds of happy and returning customers. We stock many major farriery brands from around the world - our focus is on supply quality gear to those who understand the importance of buying the right tools and equipment. Our business, P3 Equestrian is owned and operated by David Hankin Dip.WCF, a qualified farrier who was UK trained and moved to the southern hemisphere in 2003. 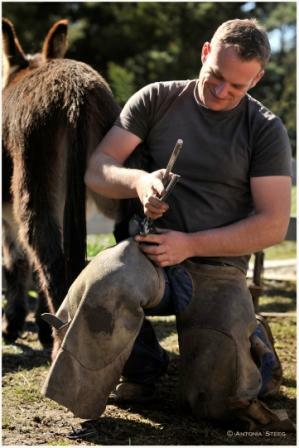 Although no longer shoeing or trimming, Dave provides product advice to customers every day. Our focus is complete customer satisfaction. That's not just a buzz word, we really mean it. Some of our products ship from our Sydney, NSW warehouse and others are supplied from our New Zealand warehouse. All purchases include Australian GST. All products on this website have free Australian economy shipping (unless stated otherwise) when you order online and the order totals over A$125.